Which Sydney Suburb Is Kicking Goals And Now Getting Paid? Sydney’s waterfront suburb of Ermington is proving to be a hot spot in the city's property market after apartments in the area have grown in value by 14.1 per cent in the last 12-months. The suburb has outperformed the Sydney apartment market by an average of 2.1 per cent each year for the past three years. Located 15km from the Sydney CBD and 5km from Parramatta, the area was formerly used as an industrial land on Sydney Harbour which has seen Pyrmont, Rhodes and Wentworth Point also blossom into new life. 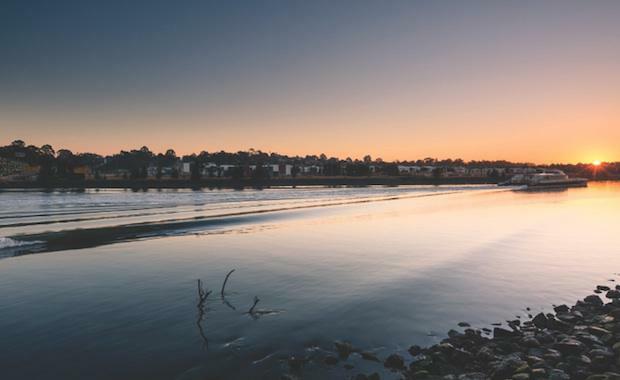 As well as the nearby wharfs at Rydalmere and Meadowbank, a planned ferry stop at Ermington will offer an alternative for residents to avoid commuter traffic. Offering waterfront location, new parklands and community art installations, the suburb is starting to attract buyers and investors looking to capitalise on the growth potential. Within the Ermington catchment area, which includes Rydalmere, Dundas, Denistone and Melrose Park, there are a total of 1,407 apartments in the pipeline. Ashton Rowe have forecast a net inflow in the catchment area of 5,988 people by 2036. “There are very few suburbs in Sydney with such attributes,” said Managing Director of Link Marketing Services Basil Klevansky. “It is on Sydney Harbour, close to beautiful parklands, serviced by well-developed infrastructure, with the nation’s finest sporting and entertainment venues of Sydney Olympic Park just across the water. Sekisui House, have seized the opportunity to purchase 2.3-hectares of land on the former Defence Housing Australia site at Ermington to create Sydney’s newest waterfront community. Royal Shores and comprise more than 600 apartments. Registrations of Interest for Royal Shores is currently underway.